THE CRIMINAL ASSETS Bureau (CAB) wants to sell assets, including several cars, worth €500,000 of 11 individuals it says are linked to the Kinahan organised crime gang. CAB had previously secured orders from the High Court freezing the assets which include jewellery, motorbikes and cars seized by the bureau following raids at various locations in March of last year. The proceedings were taken against Liam Byrne, who CAB says is a member of the Kinahan gang, and several of his associates. 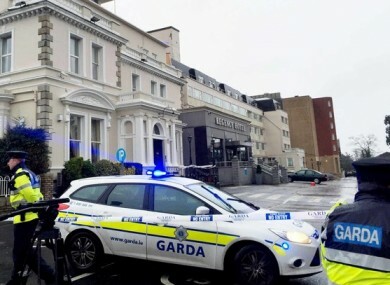 Byrne’s brother David was shot dead in the Regency Hotel in Dublin in February 2016. Following an application by the bureau last month, the High Court appointed a receiver over the cars and granted orders allowing the receiver to sell the vehicles. The court placed a stay on that order pending any application to the courts by any of the individuals linked to the assets. The matter was mentioned before Justice Carmel Stewart at the High Court this morning. Remy Farrell, senior counsel for CAB, said it is the bureau’s case that the assets are the proceeds of crime. Counsel said the vehicles were used by the Kinahan group as currency for services and for laundering money. They were linked to a car sales company which counsel said was a “bogus front”. The motor vehicles were “not of sentimental value” and were “used as assets only”, counsel said adding that the cars had depreciated in value by by €111,000 since they were seized. Several of the respondents were legally represented in court during the brief hearing. Lawyers acting for the respondents and parties that have been put on notice of the proceedings asked the court for time to allow them consider and respond to CAB’s application. The court heard that some of the respondent’s lawyers were awaiting instructions from their clients in regards to the matter. Justice Stewart agreed to adjourn the case until 20 March. This was to allow any party claiming an interest in any of the assets to file a sworn statement in respect of CAB’s bid to sell the vehicles. However the judge said she was not prepared to allow the stay on the sale order remain in place for a lengthy period. The judge said the court would also deal with any application by any of the respondents for legal aid in respect of the proceedings on the adjourned date. Email “CAB wants to sell €500k-worth of assets 'linked to Kinahan cartel'”. Feedback on “CAB wants to sell €500k-worth of assets 'linked to Kinahan cartel'”.